Daniel Andrew Johnson professionally known as Kane Beatz, is an American record producer and songwriter from Orlando, Florida. 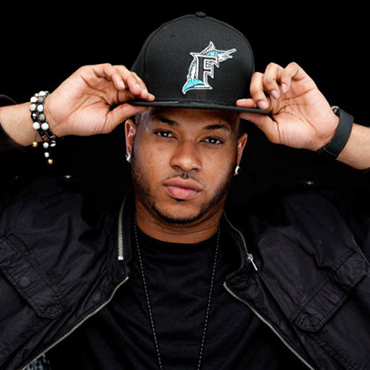 Kane began his career as a producer by putting his work on SoundClick.com, a music-based community that allows artists to promote, stream, and sell their songs. Within a couple of months, Kane was the top-viewed producer on SoundClick. This resulted in Kane’s first big break as a producer on Trick Daddy’s 2006 smash single, “Tuck Ya Ice.” He was soon contacted by Mike Caren, Executive Vice President of A&R for Atlantic Records, who signed him to a publishing contract with the label. From there, he began working with artists including Lil Wayne, Chamillionaire, Flo Rida, and Nicki Minaj- including her hit single “Super Bass.” Kane Beatz has also contributed to Wiz Khalifa’s Grammy-nominated album Blacc Hollywood and Nicki Minaj’s third studio album The Pinkprint. Since his success, Kane founded his own label called The Building. The first artist signed was The Mad Violinist. Since then he signed-songwriter Kief Brown and producer Jeremy “JMIKE” Coleman. Copyright @ 2019 MEL Conference. All Rights Reserved.